His books include: The High Cost of High Tech (with Lennie Siegel); Cyberpunk: Outlaws and Hackers on the Computer Frontier (with Katie Hafner); Takedown: The Pursuit and Capture of America’s Most Wanted Computer Outlaw (with Tsutomu Shimomura); What the Dormouse Said: How the Sixties Counterculture Shaped the Personal Computer Industry; and Machines of Loving Grace: The Quest for Common Ground Between Humans and Robots. Markoff is currently working on a biography of Stewart Brand. 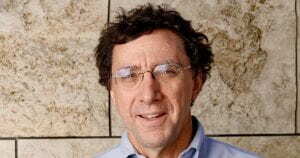 Markoff continues to work as a freelance journalist for The Times and other organizations and volunteers at the Computer History Museum.